Elevio is a SaaS business. We’ve created a software product, and most of the companies that use it are software businesses. Sometimes it can seem that software is it’s own little (or big) pond, and people who don’t know much about programming just aren’t part of it – the idea being that creativity and software don’t mix and match. Quite the opposite is true actually – most of us use software every day, in so many different ways. And creativity is a big part of that. Creativity isn’t just drawing pictures and curating a gallery. I believe it’s anything that challenges the mind, requires imagination, solves a problem, and helps people by provide value in some way. Back to elevio’s customers – while a lot of them are software companies, elevio’s just as useful for any creative (in the traditional sense) business. One of the best examples for this is Pozible. Pozible was one of elevio’s first users. It is a crowdfunding platform and community-building tool for mainly Australian and Asian-based creatives, artists, and musicians. Pozible is making great use of elevio’s embeddable, keeping all their FAQs, contact forms, and workshop dates in one place on-site. I spoke to Elliot, Pozible’s Marketing and Data wizard. 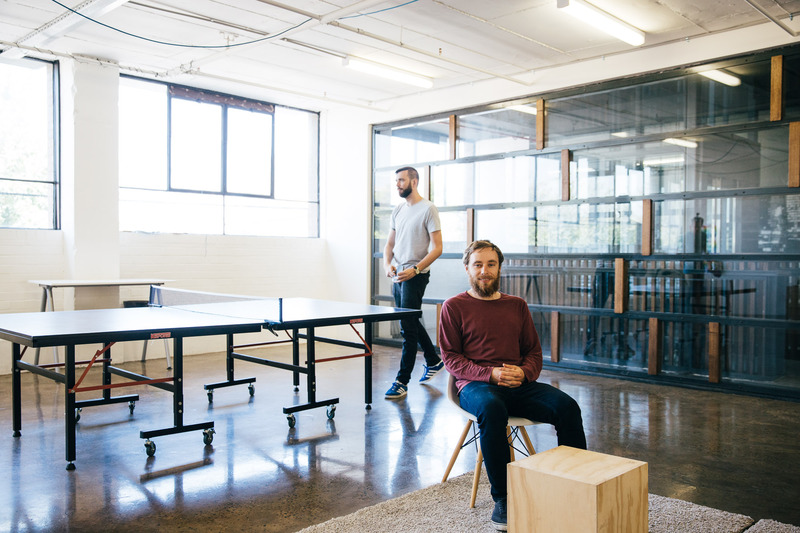 We talked about the importance of website support, customer happiness, and ping pong breaks. How did Pozible come about? Pozible came about when Rick & Alan met backpacking to Byron. They wanted to create something to help their creative friends fund projects. Somewhere along the way Pozible was born. It’s the ability to paste the URLs that open a specific page with a specific FAQ already open into our system emails. Use as many other already existing tools as possible. Don’t re-invent the wheel. Very. We rely on campaigners both having a smooth experience and also learning how to crowdfund. Without training our customers we’d have a much lower income. Who were the first people to use your service? What have you learnt from each other? Creatives, bands and visual artists were the first to use Pozible. A walk around the block, sounds lame but it’s really refreshing. ACTUALLY NO, IT’S PING PONG! There’s more good Pozible content right here, when I interviewed Lili, Pozible’s customer and campaign success manager a while ago. We covered practical customer support tips, how to creatively measure customer happiness and ROI, and everyday individual struggles we come across as part of customer success. Join elevio’s mailing list, so we can let you know once more interview are out and keep you updated on the best customer success tips.